*Parental Note: This review was dictated to dad and transcribed with 100% accuracy. Paul: This is something you don’t see very often... a great burger place in an old gas station? Yep! That’s right! 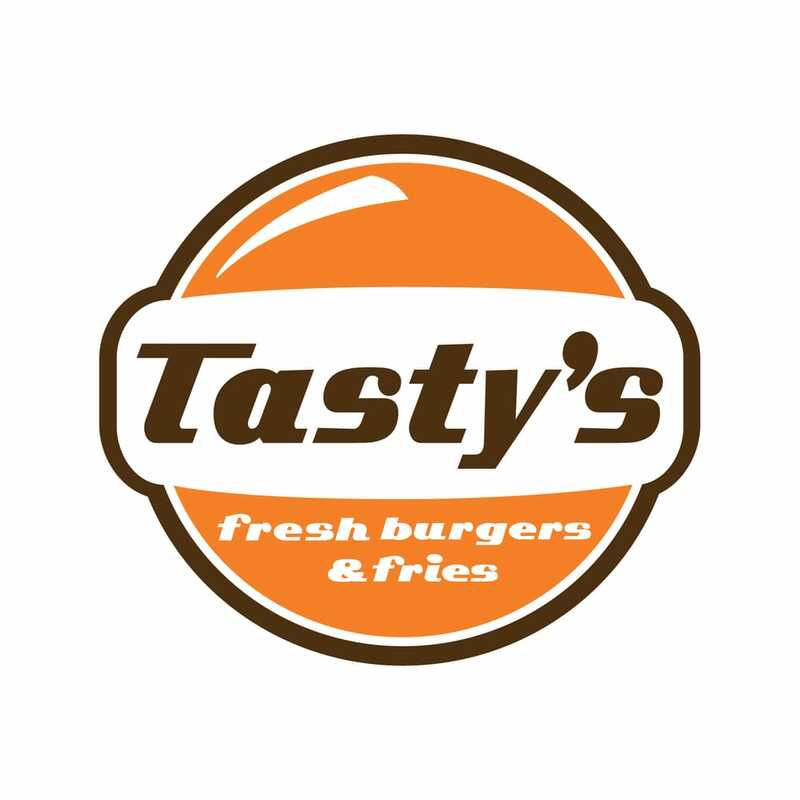 An old Gulf gas station was turned into the best burger joint on Amelia Island... Tasty’s Fresh Burgers and Fries! It really lives up to its name. Well, anyway…I had the “Tasty With Cheese”… it is a quarter pound burger with everything but pickles…that includes onions, tomatoes, lettuce, cheese, and "Tasty's Sauce". The burgers are AMAZING. They are really juicy and they use the type of bread that our mom really likes. Our burgers were grilled to perfection. We ordered two different types of fries: "Seasoned Parmesan Fries" and "Old Bay Crabby Fries". The parmesan fries have sprinkled parmesan cheese on top of freshly cut french fries. They are really good. But now we get to the "Old Bay Crabby Fries". If you are wondering, the "Old Bay Crabby Fries" are seasoned with Old Bay seasoning and served with the most amazing tartar sauce you’ve ever had. I think they are delicious. The Old Bay seasoning give them a little bit of a kick….which I like. The logo looks like a Gulf gas station logo. And, it was obvious that we were sitting in an old gas station. While we were eating lunch, there were like eighteen log trucks that passed by on the street. It was really loud! After we finished eating, we drove down the road where they were going to see what was up. It turns out that we vwere just up the hill from a port. Not just any port… one right next to a paper mill! Mystery solved! Overall, Tasty’s is one my favorite burger joints and a place you should definitely go to if you are on Amelia Island! Sam: I got a the chili dog. We forgot what the actual name of it that was on the menu... but it was really good! I liked the "Old Bay Crabby Fries" better that the "Seasoned Parmesan Fries". The reason why I gave it 4 and 3/4 stars instead of five is because the chili dog was a little small for me. Our dad thought we might be near a paper mill... and WE WERE! Rock-Tenn is the name. One of the only paper mills still alive! * We saw a crane that we thought was loading the paper onto the ship. And it was going to different places to deliver. And I kept count of the log trucks that we saw. There were 34 of them! It was crazy! I really liked Tasty’s. And another thing I forgot to mention: There are really cool lights hanging above when you eat outside. And there are flowers, too! *Parental note: This is Sam's loose interpretation of a portion of a brief history of Amelia Island that was printed on page 7 of Amelia Now: A Free Guide to Amelia Island (Summer 2015 Edition). We forgot to take pictures. These are pictures that dad found on the Internet.